A trip to the island of Oahu in Hawaii will undoubtedly be one you will never forget! With miles of pristine sandy beaches for lounging, plenty of amazing hikes along rugged ridgelines, and spectacular waterfalls to explore, you’ll truly be vacationing in paradise. But before you get to all of that adventuring, you’re going to need to figure out where to stay when you visit. Oahu is a diverse island in terms of weather, wave patterns, and neighborhoods. The “Leeward” coast (the west side of the island) tends to be sunny and dry but is also quite a bit less developed than the busy area of Honolulu in the south. And the “Windward” coast (the east side of the island) can get strong winds and rain. The North Shore has a laid back vibe and experiences massive waves in the winter so you may be able to see a surf competition at one of the world famous surf breaks. But regardless of where you choose to stay during your Hawaiian vacation, you’ll find that temperatures generally hover around 80-85° F and water temperature near the shore is a pleasant 74° F. Weather patterns are generally localized so if it’s raining where you are, you can find blue skies and sunshine by venturing to another area of the island. Read on to learn what all of the different areas of the island have to offer so you can choose the best location for your Hawaiian vacation. Aloha! Kalakaua Avenue in is the main touristy area of Honolulu. Think of it as the Las Vegas Strip. It runs parallel to the world-famous Waikiki Beach and is full of bars, restaurants, hotels, street performers, homeless people, and everything in between. This is where most tourists choose to stay when visiting Oahu as there are plenty of things to see and do within walking distance. Plus Waikiki beach has a long, sandy break so it is an ideal place to take a surfing lesson or to swim. 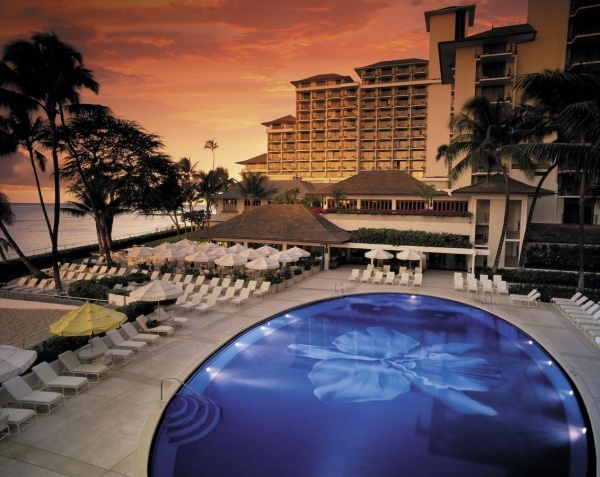 The Halekulani Hotel is located in the heart of Waikiki with stunning views of Diamond Head. This luxurious hotel is the perfect place to celebrate a honeymoon or anniversary. It is a private, relaxing oasis in the middle of the bustling Waikiki area where you will be treated like royalty by the amazing staff. You’ll enter your spacious room to find a welcome bowl of fresh local fruits and signature chocolates. Take advantage of the deep soaking tub and premium toiletries after a long day spent exploring the island. And then slip into your plush bathrobe and head out to your private lanai (balcony) for views of the ocean and the heated swimming pool below. There are plenty of things to do around the hotel including dining at the 3 delectable restaurants, enjoying sultry jazz music in the lounge bar, and relaxing in the day spa. You may never want to leave this gorgeous property! While it’s not located directly on the beach, The Surfjack Hotel & Swim Club is in the perfect location to walk everywhere in Waikiki. This darling boutique hotel combines vintage-inspired decor with unique artwork in every room. You’ll feel like you’ve transported back in time to the 1960’s, but with more luxury and convenience. All rooms have a private balcony, a large television set, a refrigerator, and a coffee machine. Rooms are on the smaller side but have funky decor and ultra-comfortable beds. Enjoy poolside entertainment while enjoying a dip in the Swim Club pool. And be sure to poke around at the cute boutique downstairs, Olive and Oliver, to pick up souvenirs for friends back home. The onsite restaurant, Mahina & Sun’s, offers organic specialities and crafted cocktails. Guests love the vibe of the hotel. It has a vibrant, friendly, homey feel and you’ll be treated like family by the helpful staff. Considering the excellent location of the Park Shore Waikiki, this hotel is an outstanding value for the money. 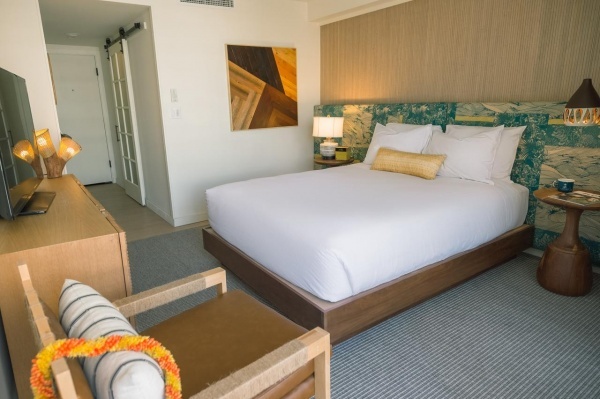 Just moments away from the beach, close to the Honolulu zoo, and right on the main strip of Waikiki, you’ll be able to walk everywhere you want to go! Kapiolani Park is also right next door where there are often weekend activities for both kids and adults. The rooms are basic but clean and include air conditioning, a television, a small refrigerator, and a coffee machine for your convenience. Guests can enjoy the rooftop swimming pool and the helpful staff at the Park Shore can help to arrange any excursions or activities on the island. If you want to stay within walking distance of the main touristy area of Honolulu but slightly removed from the chaos, then the Ala Moana area may be ideal for you. Just west of Fort Derussy Beach Park you’ll find several public beaches, a huge mall, and a few hotels. The beaches in this area tend to be less crowded than Waikiki beach but there is also more coral in the water so it’s not as ideal for swimming or surfing. Locals love to hang out here and barbeque with their families. The Modern Honolulu is aptly named as it is a hip hotel with very sleek, modern decor. 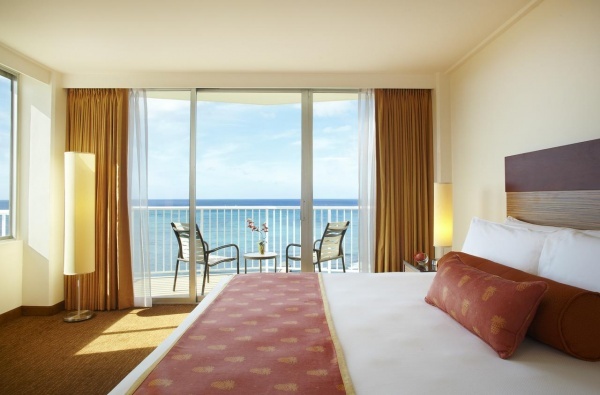 Rooms have stunning views of the sea and plenty of bright, natural light. Amenities include a large cable TV, Keurig coffee maker, slippers, and ultra-lush down bedding on the amazingly comfortable beds. Thirty-somethings will love that the hotel has two pools (one being adults-only) as well as a high-end nightclub where locals and tourists dance the night away. There is also a delicious restaurant featuring farm-to-table dishes and three lively bars mixing up creative cocktails. Plus it’s only a short walk to the peaceful beach nearby. A full-service spa and a fitness center are also available for guests of the Modern. The Hilton Hawaiian Village is a bit outside of the busy Kalakaua street which you may appreciate after spending an evening trying to weave through its crowded sidewalks. The entire property is 22 acres and truly is it’s own little village. With over 20 restaurants and lounges, 90 shops and boutiques, and a 5,000 square-foot family pool, you’ll really have no reason to venture out unless you want to. Rooms are large with simple furniture and balconies offering lovely views of the ocean or the lush, manicured property. It’s a great resort for families to enjoy as there are plenty of activities for adults and children alike. Kids will especially love the huge activity pool with exhilarating waterslides. The resort also hosts an exciting fireworks display every Friday night and hotel guests will have a front row seat! The Manoa area is popular with younger adults as it is where the University of Hawaii campus is located. It is not close to any beaches as it is more centrally located on the island but it is a great area to stay if you are looking for budget accommodation. This friendly hostel offers beds in all male or all female dormitories for a budget price. A few offerings include a shared and fully equipped kitchen, towels and linens, lockers, and free (limited) parking. Be sure to bring your own padlock for your locker. 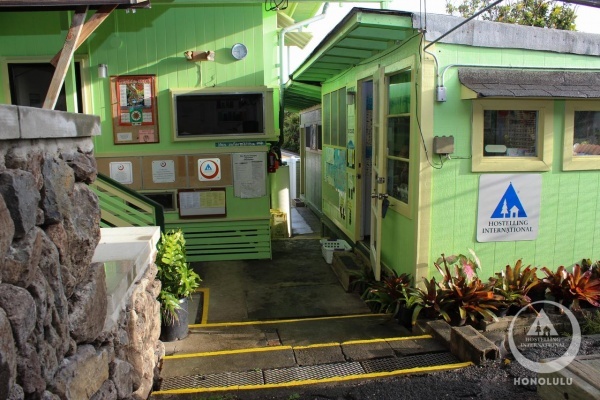 Hostelling International Honolulu is not necessarily centrally located but it’s close enough to the beach and you really can’t beat the price. The only way to find cheaper accommodation on Oahu is to camp or couchsurf. Most tourists visiting the Leeward Coast stay in the massive master-planned community known as Ko Olina. This area is 43 acres and includes 3 natural and 4 man-made lagoons as well as several miles of stunning white sand beaches. There are several luxury resorts contained within this community and if you plan on staying in this area you’ll likely spend the bulk of your time taking advantage of their amenities as there isn’t really anything else of note nearby. The Ko Olina area is ideal for avid golfers looking to take advantage of the challenging 18-hole golf course, listed in Golf Digest’s “Top 75 Resort Courses in the US”, and for families looking for an entertaining vacation for all ages! 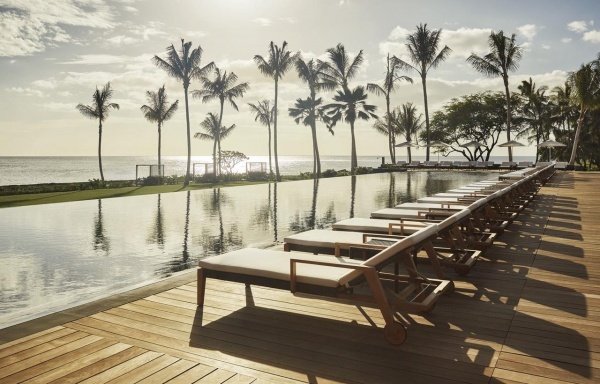 The Four Seasons Resort at Ko Olina is the ultimate in luxury beach resort. You’ll have everything you could ever want at your fingertips at this lavish hotel and you’ll be treated like royalty by the amazing staff. Not only will you have access to the world renowned golf course, but also 4 gourmet restaurants, a full-service spa, 4 outdoor pools, and 3 outdoor tennis courts. Right in front of the resort you’ll find spectacular coastline, lagoons, and plenty of water sports for an afternoon of fun. Rooms are sleek, tasteful, and pristine. Guests can choose their mattress softness preference for the perfect night’s sleep. A soak in your large tub followed by a glass of wine on your own private balcony overlooking the ocean is the perfect end to the perfect day in Hawaii. 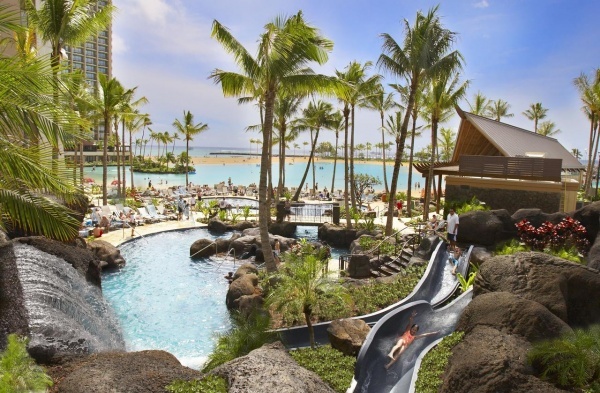 Parents of young children who are looking for an awesome and entertaining vacation for the whole family will love the Aulani Disney Resort & Spa. Rooms are bright and roomy with unique island decor and plenty of amenities. Plus they are equipped with everything a family would need including a diaper disposal system, a Pack ‘n Play, a bottle warmer, and a high chair upon request. Kids will be kept entertained all day long with the craft and culture activities offered through the resort, a variety of pools and splash zones, a lazy river, Disney movie nights, live entertainment, and plenty of appearances by their favorite Disney characters. And mom and dad will love that the resort has babysitting services available if they want some alone time to relax! There is a stark contrast between the hectic, touristy area of Waikiki and the laid back vibe of the North Shore. In Haleiwa town you’ll find a cute little pedestrian area filled with boutique shops and delicious restaurants. Surfers flock to this area as it is home to world renowned surf breaks like Sunset and Pipeline where annual surf competitions are held in the winter. You’ll also find that this area tends to have terrible traffic. Cars creep along Kamehameha Hwy trying to find parking, especially in front of Turtle Beach. And since there is only one main road here it can back up traffic for miles. And if there is ever an accident you could be stuck in gridlock traffic for hours. We would highly recommend spending at least a few nights on the North Shore during your Hawaiian vacation. There is only one hotel in the area, Turtle Bay Resort, but there are also plenty of Airbnb properties in the area to choose from. If you are a television or movie buff you’ll love that several episodes of Hawaii 5-0 and Magnum P.I. were filmed at Turtle Bay Resort, as was the 2008 film Forgetting Sarah Marshall. It’s also the only actual hotel on the North Shore of Oahu. Even if you choose to stay at an Airbnb instead, it’s worth making a trip to check out this beautiful property. Baring traffic, the resort is about a 30 minute drive from Haleiwa town. 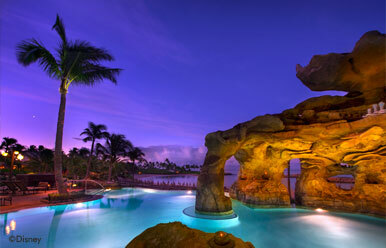 Turtle Bay is a massive resort that stretches along 5 miles of gorgeous coastline on the North Shore of Oahu. It boasts two championship 18-hole golf courses, several restaurants and bars, a luxury spa, a fitness center with group exercise and yoga classes, a pool with a waterslide, and two hot tubs. If you are looking for North Shore adventures, the Turtle Bay Resort also offers horseback riding, Segway tours, helicopter tours, surf and scuba lessons, snorkeling, and stand up paddle boards for hire. 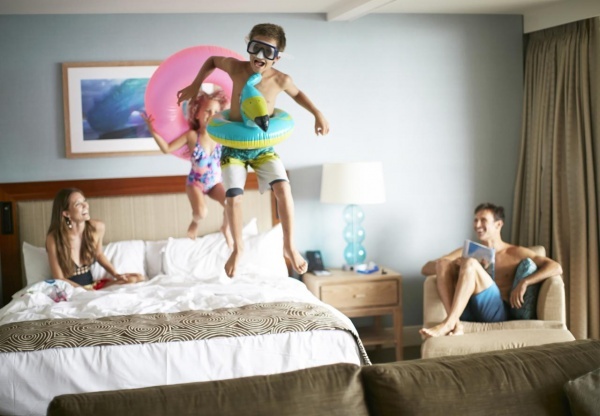 Families will have a blast at Turtle Bay Resort! Kailua is essentially a distant suburb of Honolulu. It is small town filled with strip malls and chain restaurants. Families often end up here as housing is more affordable than the Waikiki or downtown areas of Honolulu. While it isn’t necessarily a popular place for tourists to stay when visiting Oahu one of the nicest beaches on the island is here – Lanikai Beach. On Lanikai you’ll find soft white sand, turquoise blue water, and plenty of water activities. If you want to spend your entire vacation lounging on a gorgeous beach, this one is perfect for you! There are a few appealing Airbnb options in Kailua but no major hotels. Bellows Air Force Station operates a lovely campground right on the beach about 8 miles south of Kailua. Visitors can rent a cabin, a condo, or bring their own camping gear and sleep right on the sand. This is a popular weekend activity for locals so be sure to book a spot well in advance. Bellows offers 109 beach-side cabins, 8 air-conditioned condo units, 55 family campsites, 10 cedar camper cabins and 2 recreational vehicle sites. Laie isn’t necessarily an ideal area to stay on Oahu unless you would like to be close to the Polynesian Cultural Center. This area is fairly removed so you won’t have a lot of dining options nearby. It is also a dry town so if you’d like to enjoy an adult beverage while lounging by the pool you should consider staying elsewhere. 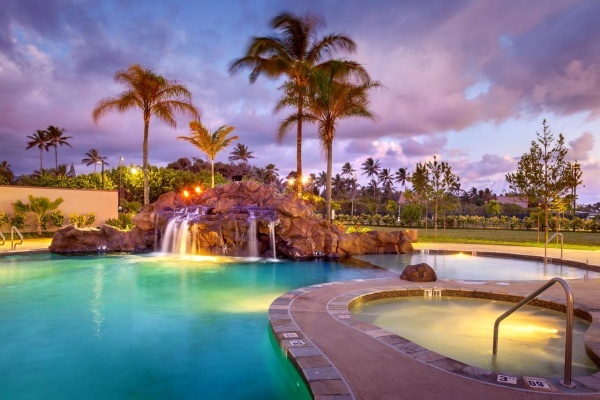 The Courtyard by Marriott in Laie is only 100 meters from the Polynesian Cultural Center, making it the ideal place to stay if you plan on attending a luau. The hotel provides guests with the type of service, comfort, and cleanliness that you would expect from a Marriott property. Rooms are spacious, bright, and pristine. 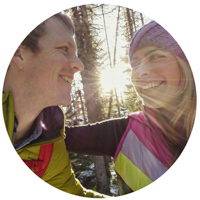 The staff are friendly and attentive and can help with arranging any of your activities on the island. There is a large outdoor pool with a hot tub for guests to enjoy as well as a small restaurant onsite. The hotel does not serve alcohol. What are you waiting for? It’s time to book your vacation in paradise! Planning a trip to Oahu? Check out our favorite books! Previous Post Famous Filipino Food: 15 Must-Eat Dishes in the Philippines!